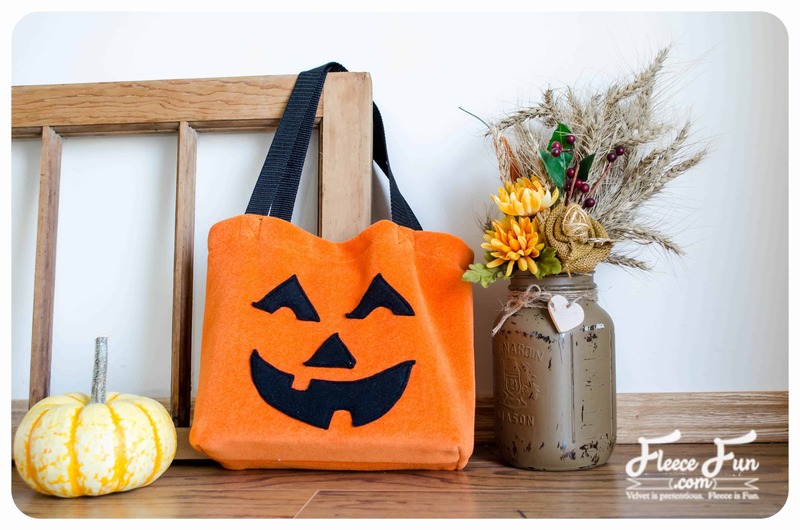 This pumpkin tote is a fun addition to your Halloween collection that you can use year after year to collect candy or decorate your home! 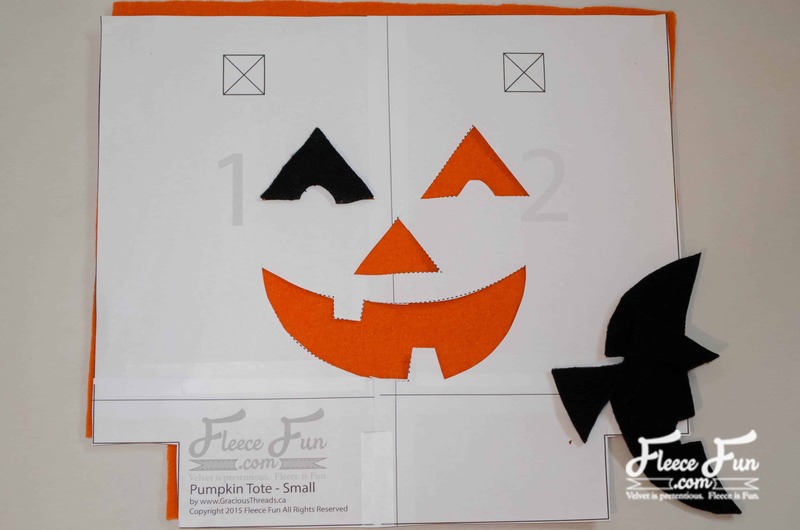 Cut out 2 bag pieces and 1 set of the pumpkin face. 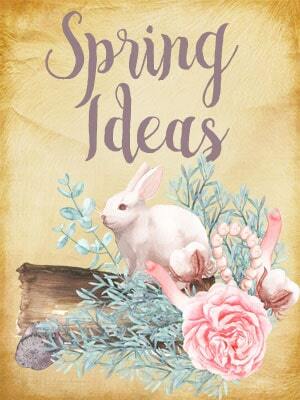 You will also need a rectangle of your cardboard/plastic (14.5″ x 7″ for large size, 9″ x 4″ for small size) as well as a scrap large enough to wrap around it. 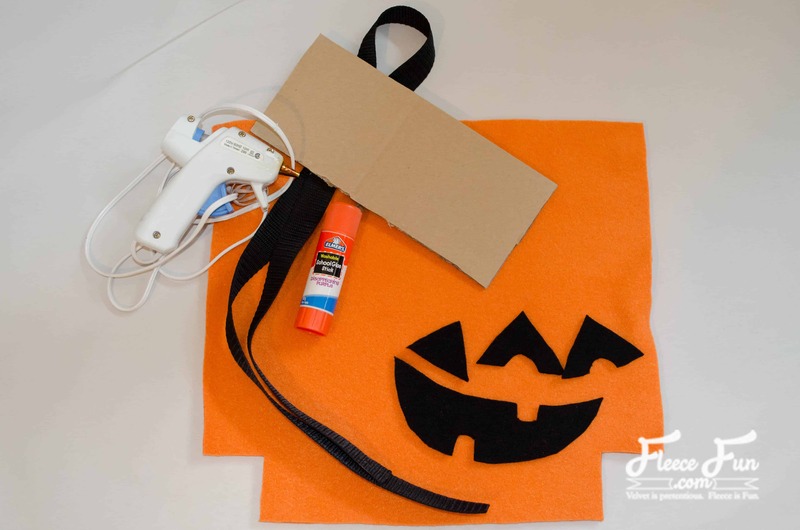 Use the glue stick to glue your pumpkin face pieces in place as marked on pattern (this temporarily helps keep them in place; you can also use pins). I find it helpful to cut out the face on the pattern piece and use it as a template to place the face pieces. 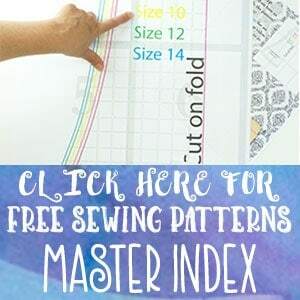 Stitch around the edges with a straight stitch or zigzag. 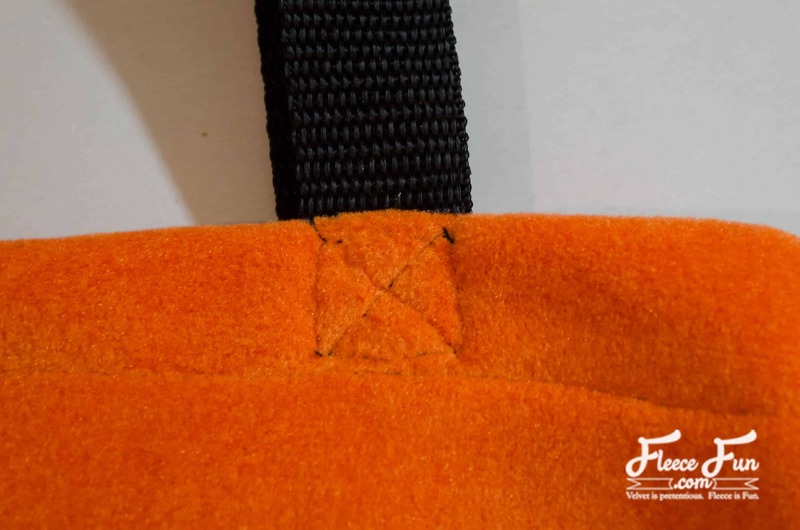 With right sides together, sew the two sides and bottom of your bag. 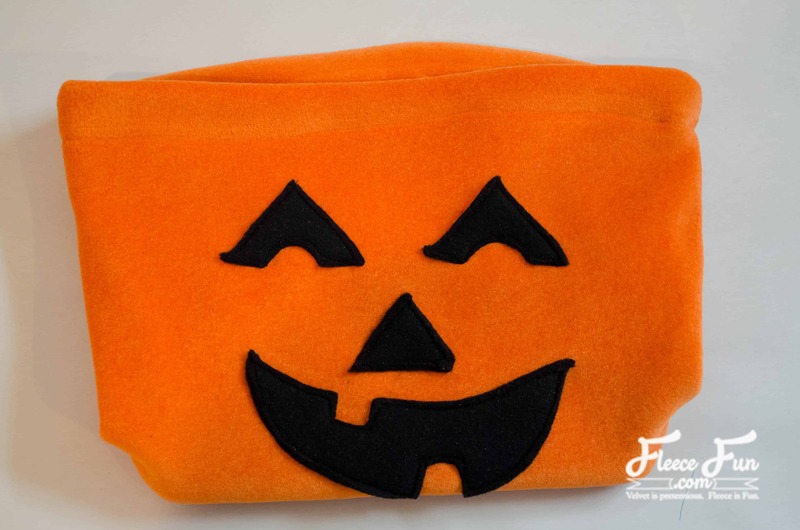 Fold the corners so that the side seam matches up with the bottom seam. With right sides together, sew the corner shut. 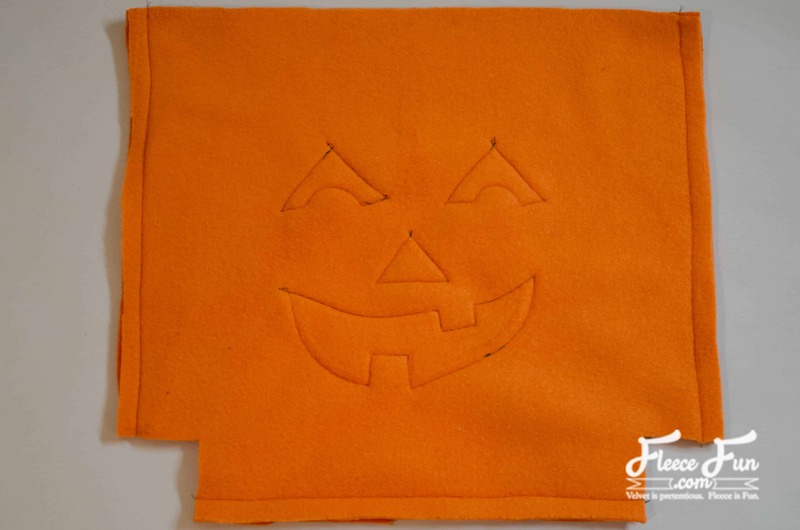 Place your cardboard/plastic on the scrap of fleece. 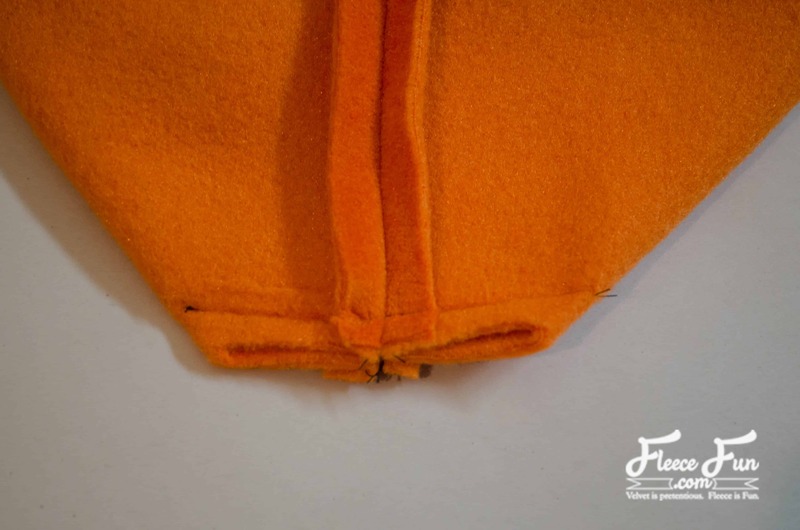 Hot glue the fleece to wrap around, and trim any excess. 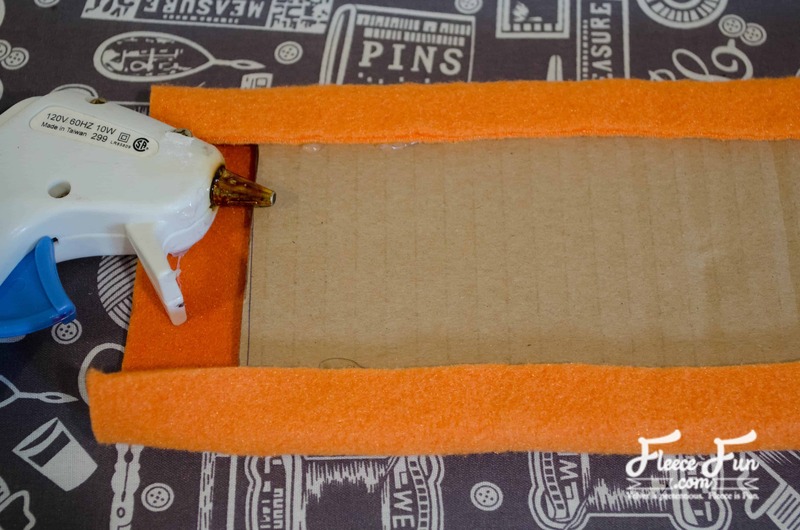 Place another layer of hot glue on the unfinished side of the cardboard/plastic. 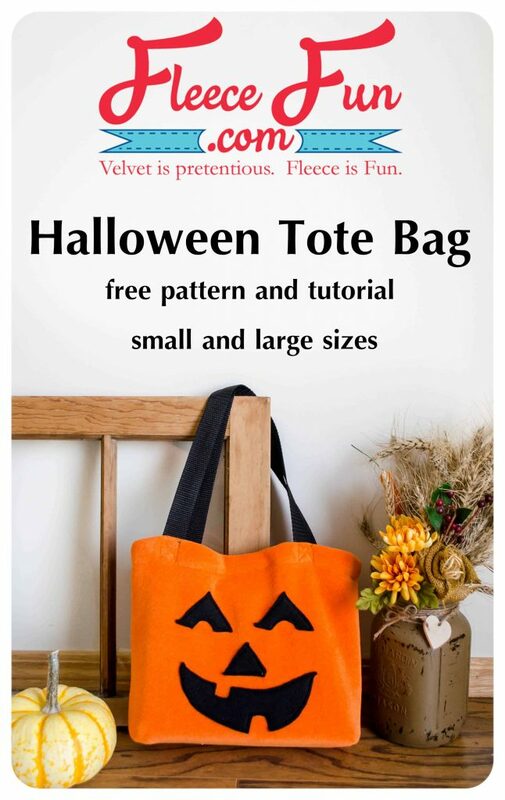 Carefully place it in the bottom of the bag. 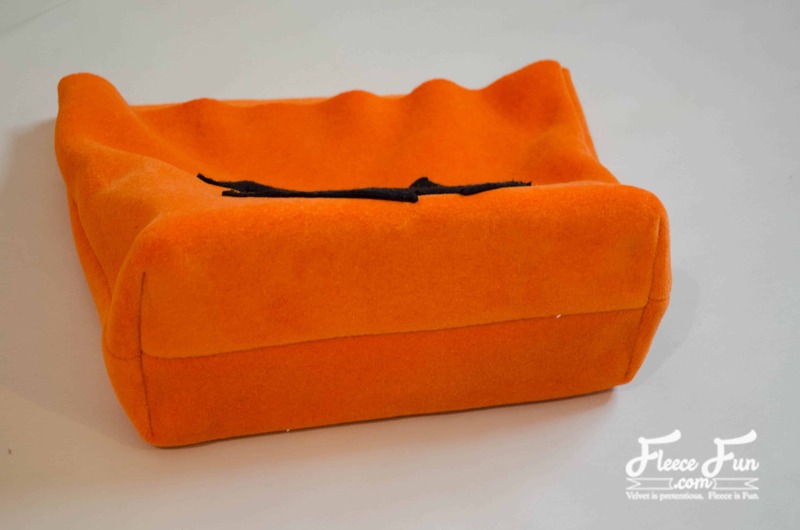 Now your bag has a sturdy bottom! 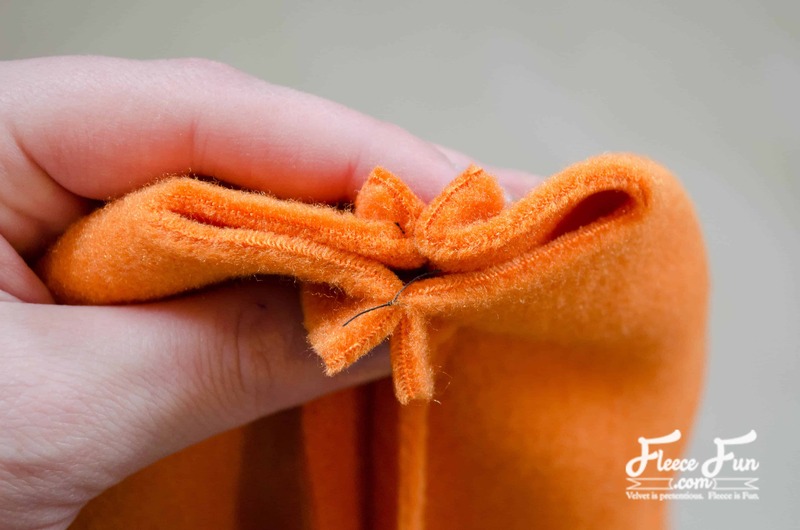 Fold over the top edge to the wrong side by 1″ and stitch hem in place. Cut two lengths of webbing for the straps (18″ for small, 36″ for large). Melt the ends with a lighter so that they don’t fray. Place the ends on the inside of the top hem, matching up with the markings printed on the pattern. Stitch in place with a box and an ‘X’ so that it is secure. 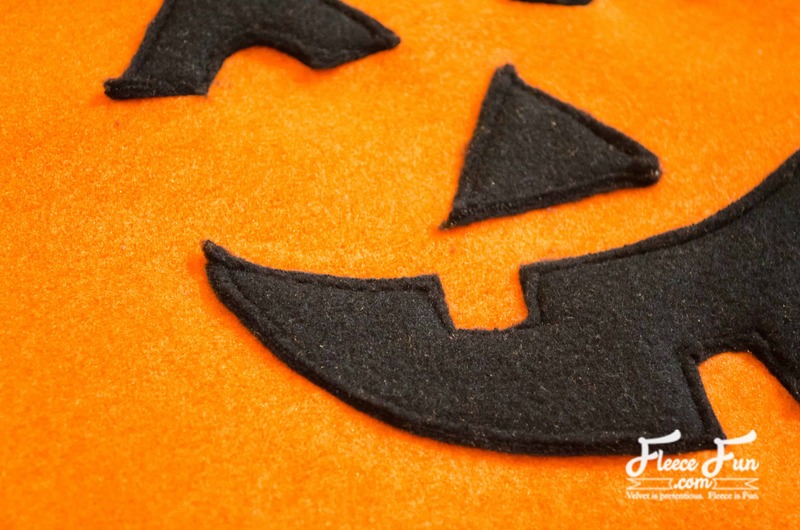 This pattern has been drafted by Gracious Threads for Fleece Fun.